The Golden Globe awards are airing tonight on NBC, which in essence kicks off the annual awards season race celebrating the year's best movies. There is also another awards ceremony that hands out awards to the year's "worst" movies, the Golden Raspberry Awards, a.k.a. the Razzies. 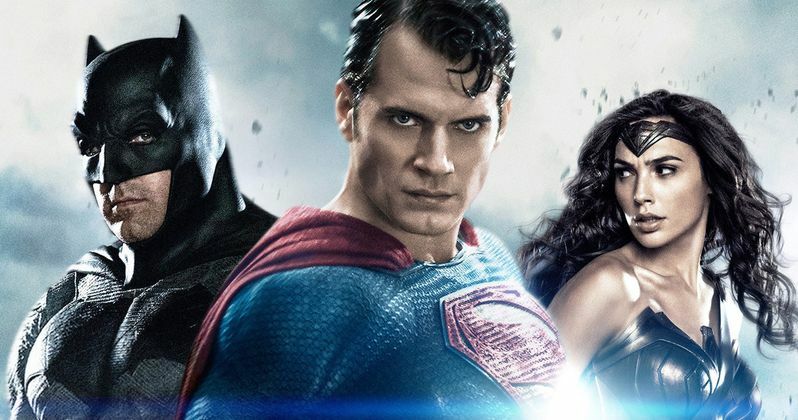 While we'll likely have to wait a short while for the full nominations to be unveiled, the 2017 Razzies short list has been unveiled, and it seems that Warner Bros.' blockbuster Batman v Superman: Dawn of Justice has found itself in almost every category. The nominations short list was unveiled by a YouTube user dubbed "truthhopelove," who took a video showing an email he received which features the 2017 Razzie nominations short list. The email reveals that voting will close on January 16, although the nominations won't be released until a few days later. Traditionally, the Razzie nominations come one day before the Oscar nominations are announced, and since this year's Oscar nominations won't be announced until January 24, the Razzie nominations will likely be announced on January 23, barring any break in tradition. It's possible that the DCEU adventure Batman v Superman: Dawn of Justice could have the most nominations of any movie, since they are nominated in six of the eight major categories, with seven nominations in total. Batman v Superman is on the Razzie nominations short list in the Worst Prequel, Remake, Ripoff or Sequel category, along with Worst Screenplay, Worst Supporting Actor (Jeremy Irons and Jesse Eisenberg), Worst Director (Zack Snyder), Worst Actor (Ben Affleck) and Worst Picture. The only two awards it isn't in contention for are Worst Actress and Worst Supporting Actress, which makes sense since Gal Gadot's Wonder Woman was one of the most beloved aspects of the divisive movie. The Divergent Series: Allegiant has also tied Batman v Superman with six nominations, including Worst Prequel, Remake, Ripoff or Sequel, Worst Screenplay, Worst Supporting Actress (Octavia Spencer), Worst Actress for both Naomi Watts and Shailene Woodley and Worst Picture. Assassin's Creed is shortly behind with five nominations, including Worst Picture, Worst Screenplay, Worst Director (Justin Kurzel, Worst Supporting Actor (Jeremy Irons) and Worst Actress (Marion Cotillard), although main star Michael Fassbender is not on the short list for Worst Actor. This email doesn't reveal the short list for the Razzie's newest award, the Razzie Redeemer Award. First introduced in 2014, the Razzie Redeemer Award goes to the former Razzie winner who has gone on to redeem his or her self through good movies. Ben Affleck won the first award in 2014, for his recent work in Argo and Gone Girl, and Sylvester Stallone won the award last year, after his comeback performance in Creed which won him a Golden Globe award and an Oscar nomination. Take a look at the Razzie short list below, which features quite a bit of Batman v Superman: Dawn of Justice. Check back in a few weeks for the official nominations.